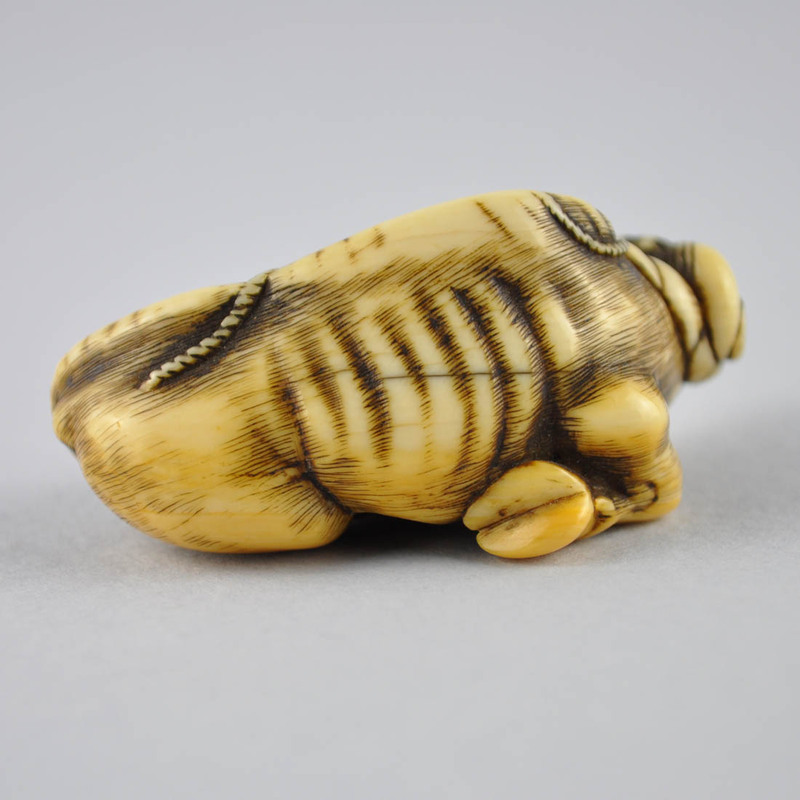 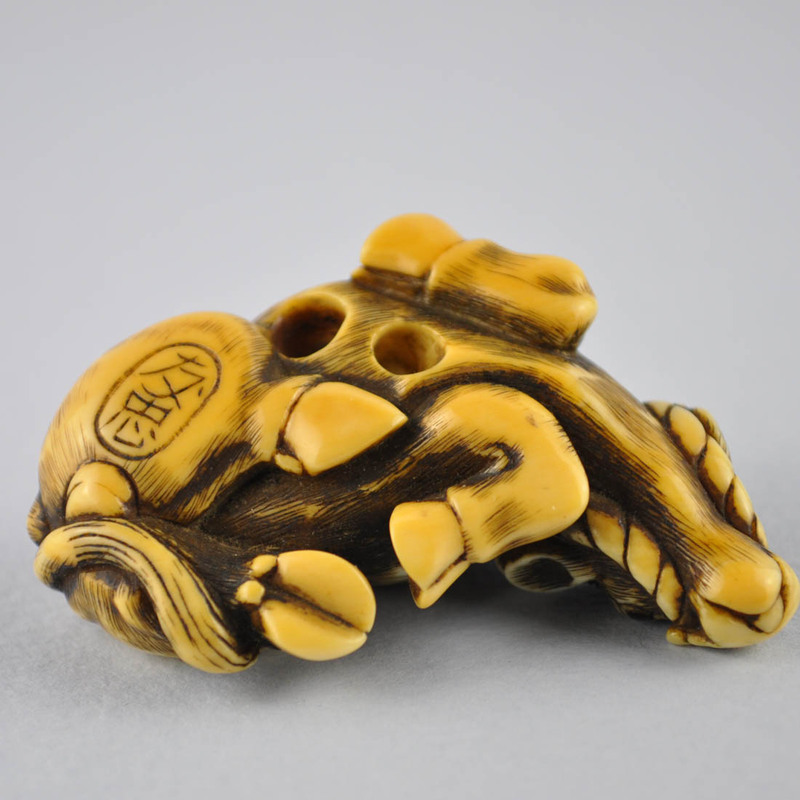 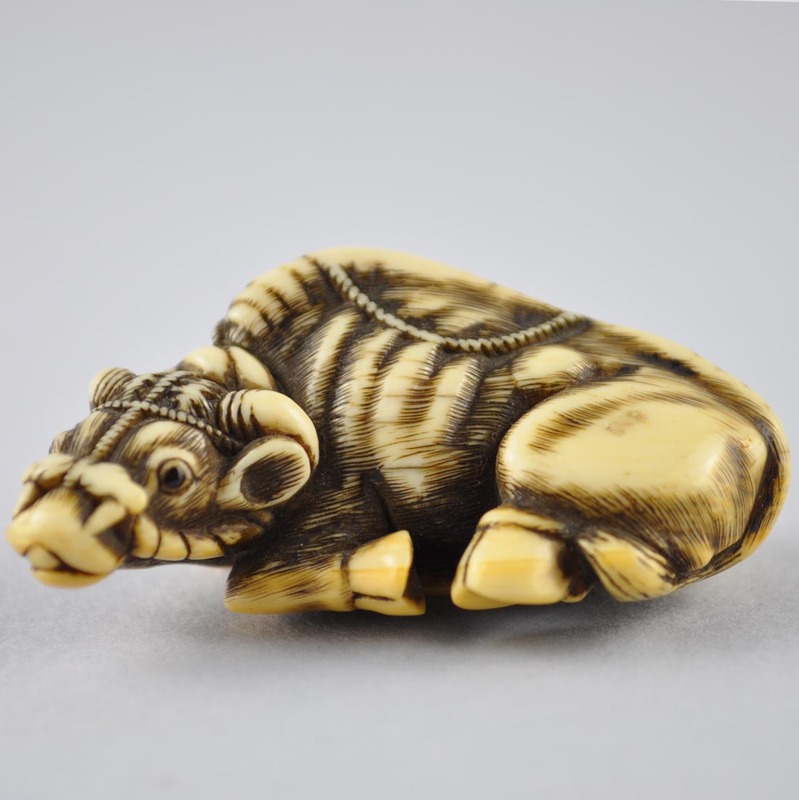 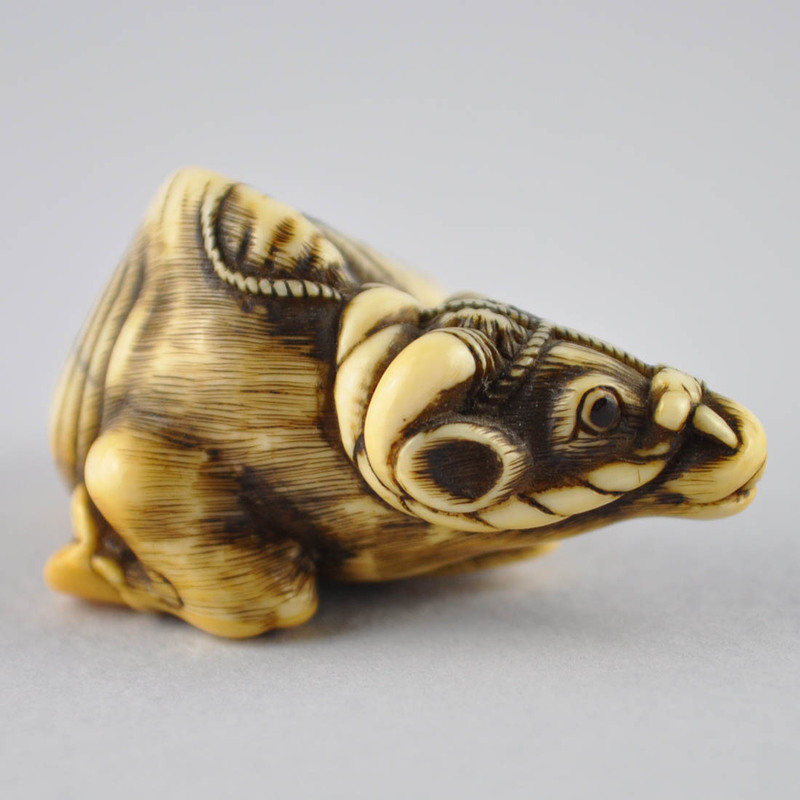 An ivory netsuke of a recumbent ox lying with his head turned to the left and a rope halter passing over its back. 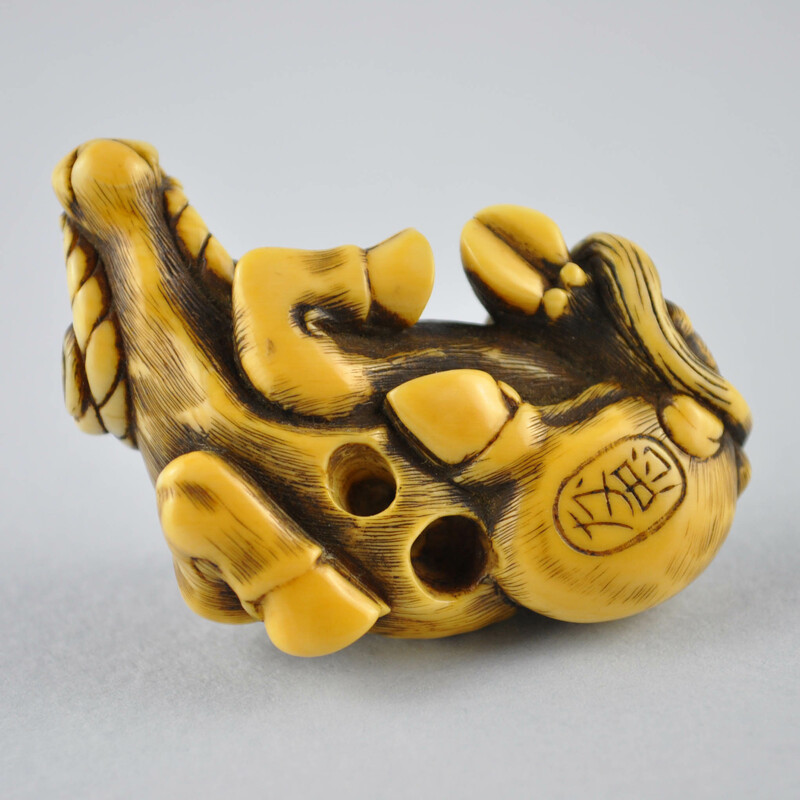 The pupils inlaid in horn. 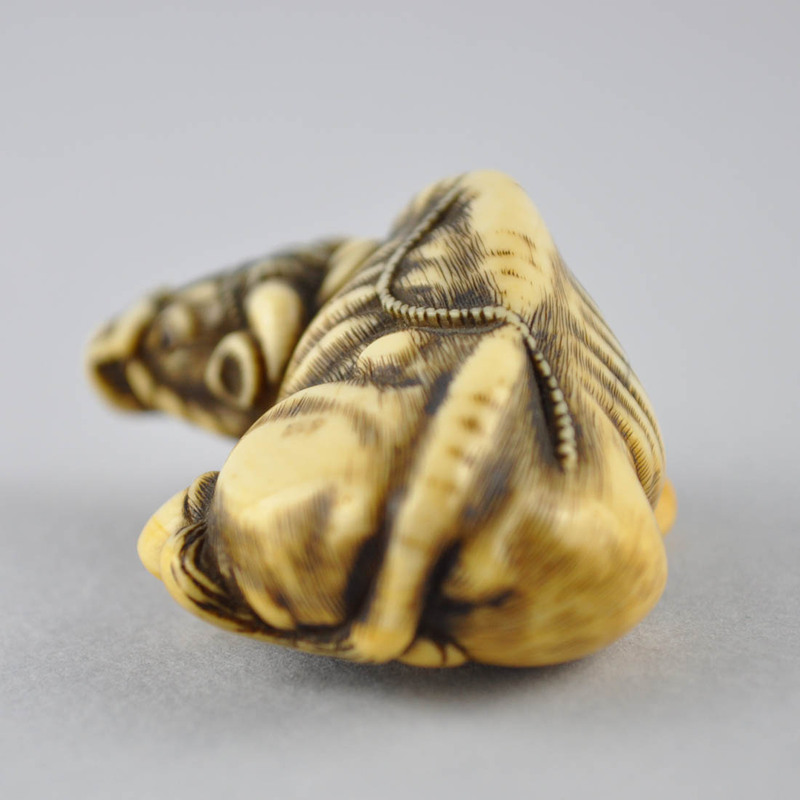 The slightly worn ivory with a fine patina. 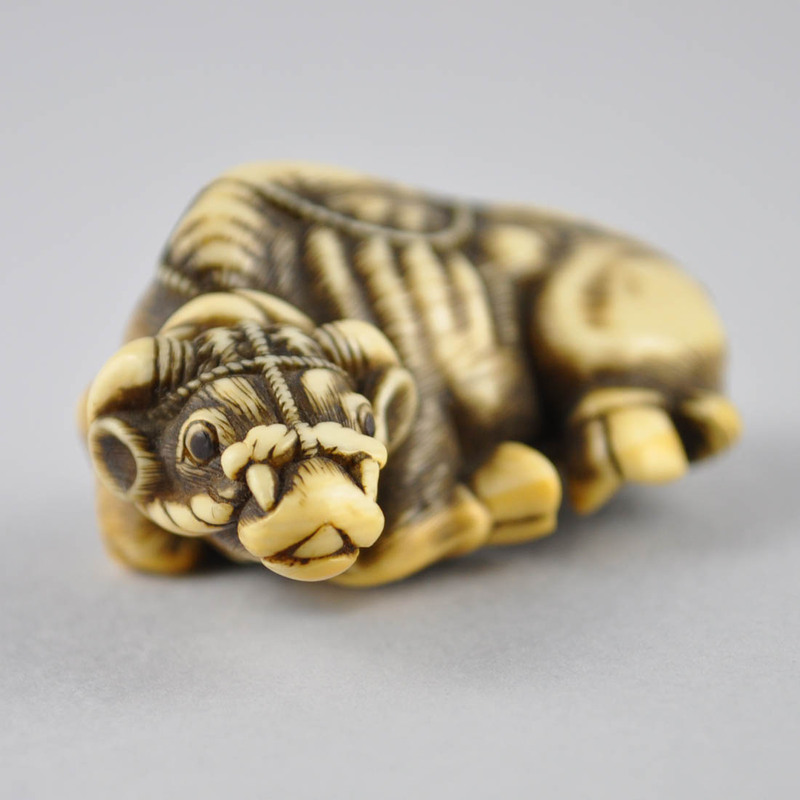 School of Tomotada, Kyoto.